Discover the notable alumni of Wiley College. The list includes people like James Farmer. This list of notable alumni is loosely sorted by popularity and has people from different domains of life, such as activists etc. Sprawled across 70 acres of land, the Wiley College is one of the beautiful and peaceful colleges located on the west side of Marshall, Texas. It was founded in 1873 and is ranked one of the best colleges in terms of education and recreational and sporting activities. The college offers education through various programs like Social Sciences & Humanities, Business & Technology, and Sciences. The architectural buildings attract students and people from outside as well. Michael Lewis, an American non-fiction author and journalist, best known for his best-selling books like Liar's Poker, The New New Thing, Moneyball: The Art of Winning an Unfair Game, The Blind Side: Evolution of a Game, and Panic studied at the Wiley college. James Wheaton, a television actor who acted in the Trouble Comes to Town and Sanford and Son and George Lucas's THX 1138 is also an alumnus of Wiley College. Walter McAfee, the Afro-American scientist to be a part of the world's first lunar radar echo experiments received his Bachelor of Science in Mathematics from the Wiley College. 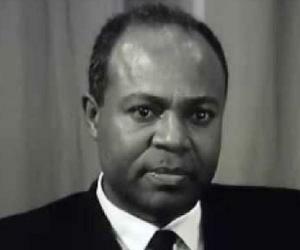 The Afro-American chemist, Henry Ransom Cecil McBay who is also a teacher by profession received many awards such as The Nortan Prize, The Herty Award, The Norris Award, and several other awards for his contribution to chemistry. Mike Lewis, Kenny Dorham, James L. Farmer, Jr. are a few alumni of Wiley College. Scroll down to get more details about all the famous Wiley College alumni.